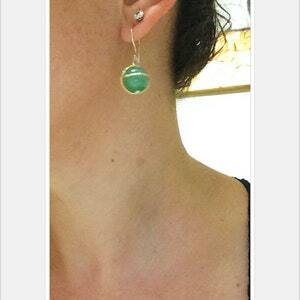 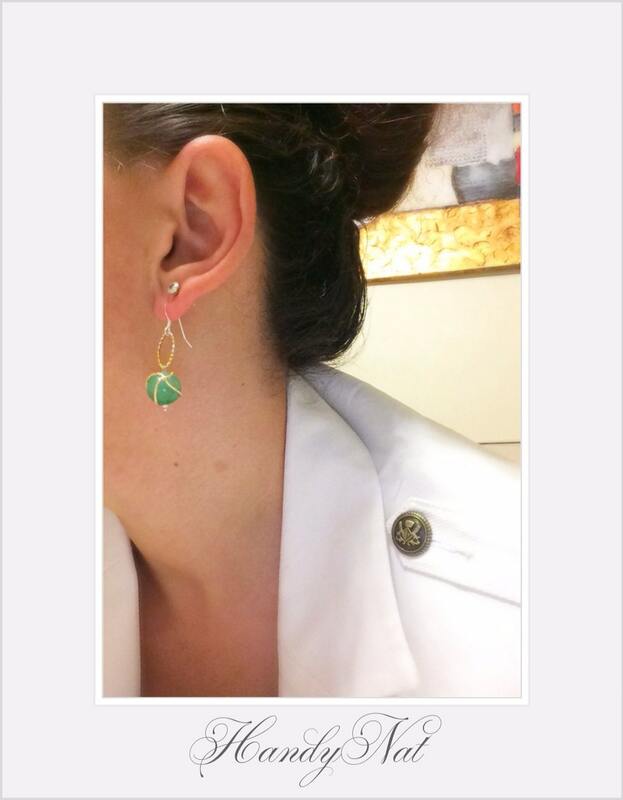 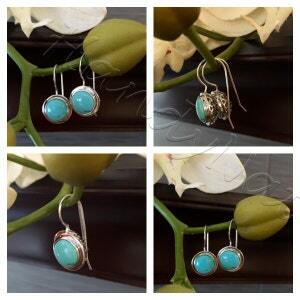 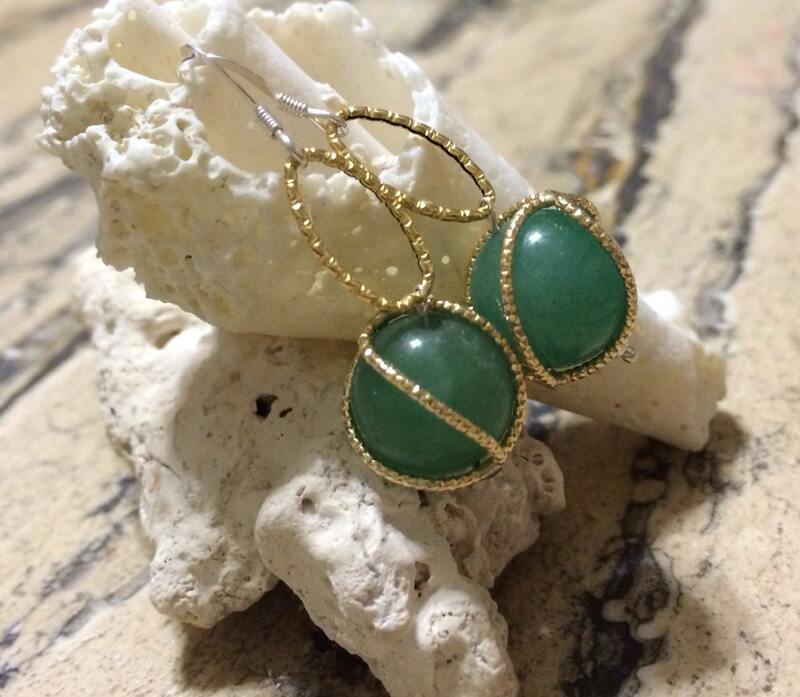 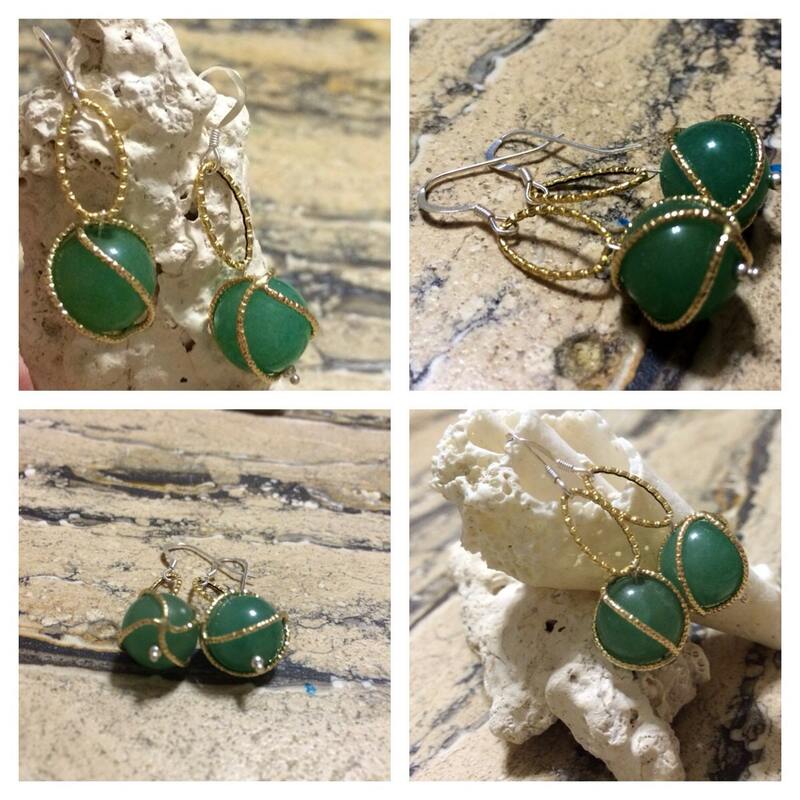 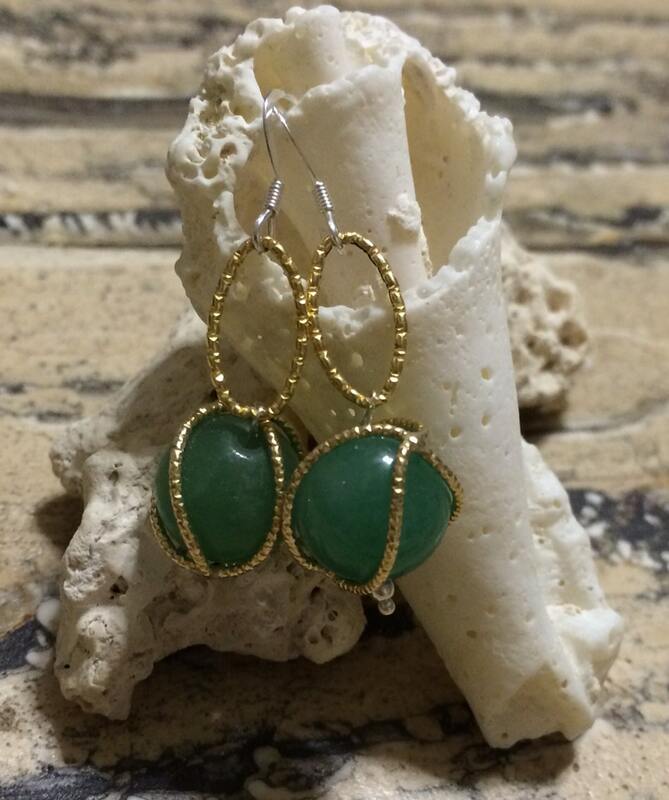 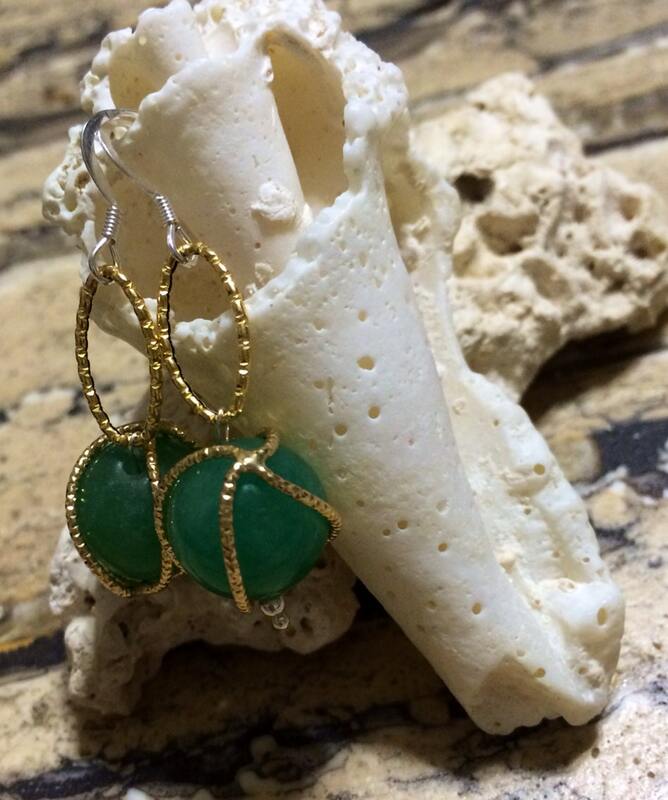 14k Yellow Gold and Sterling Silver Green Aventurine Drop Earrings. 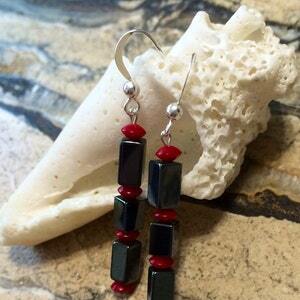 Red coral and Hematite sterling silver Stick earrings. 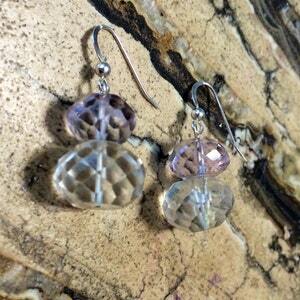 Pink Amethyst and White Quartz sterling silver earrings.